Rather like The Rolling Stones' "Tattoo You", this was, as opposed to being a brand new album of new studio tracks, it was made up from songs from sessions for previous albums and re-makes of older songs. There were a few newer ones in there too, but it wasn't a "brand new" album, as such. That said, it is ok, and superior in some ways to "Wrecking Ball" and definitely better than the patchy "Working On A Dream". Granted, as the songs are chronologically and conceptually unconnected, the album has no real identity, or continuity. Personally, though I prefer it to the slightly tedious griping about bankers and world finance such as appeared on the "Wrecking Ball" album. 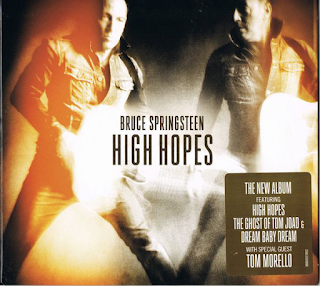 The opener, "High Hopes", written by a guy called Tim McConnell and not Springsteen, dates from 1995 originally. Here it is delivered in a shuffling, brassy rocking fashion and has a convincing, lively vocal and some excellent guitar. "Harry's Place" dates from 2001 and "The Rising" sessions. For many, it is their least favourite on the album. Not me, it is the opposite. I love it. It is full of buzzy guitar, a smoky, sleazy, menacing atmosphere and another excellent vocal from Springsteen. It is better than most of the stuff on "The Rising", for me, anyway. Springsteen singing f*** several times is a bit odd, however, like hearing your father or a teacher cursing. "American Skin (41 Shots)" is, like "Land Of Hope And Dreams" from "Wrecking Ball", a song that existed for years as a live recording only, dating from the "Live in New York City" album from 1999. Like that song, too, the live version remains the definitive one. This song is done better in the studio than "Land Of Hope And Dreams", however, and is rumbling, evocative and atmospheric, smouldering with anger and injustice. Its meaning is becoming more and more relevant as more and more Americans are needlessly shot by law enforcement officers. I have never been too happy at the presence of Tom Morello in The E. St Band, but I have to admit the guy plays a mean guitar. He does so at the end of this song to great effect. "Just Like Fire Would" is a cover of a song by Australian punk(ish) band The Saints, dating from 1986 (The Saints version). Springsteen had been singing it in concert in Australia and decided to record it. It actually sounds like a Springsteen song from the 1980-1984 period. It is a good one and a concert favourite. It sounds tailor-made for The E St. Band. "Down In The Hole" dates from 2002-2008, as does "Heaven's Wall". The former is a slow, muffled vocal number with an "I'm On Fire" percussion/organ backing and a sombre atmosphere. The latter is a "raise your hand" gospelly track that would have sat well on "Wrecking Ball". It has some excellent fuzzy guitar interplay in it too. "Frankie Fell In Love" is another very E. St barroom rocker, that wouldn't have been out of place on "Born In The USA". I am not sure from when it dates. Whatever, it sounds very "retro". "This Is Your Sword" sounds as if it dates from the Celtic-influenced, fiddle-drive anthems of "Wrecking Ball". It has a real singalong refrain and a Celtic fiddle riff at the end. "Hunter Of Invisible Game" is a mid-2000s mournful, yearning slow tempo in Springsteen's unique folky style. It is full of imagery about "boneyards, valleys and beasts" and the like. All very bleak and reflectively cynical in that world-weary way he does so well. 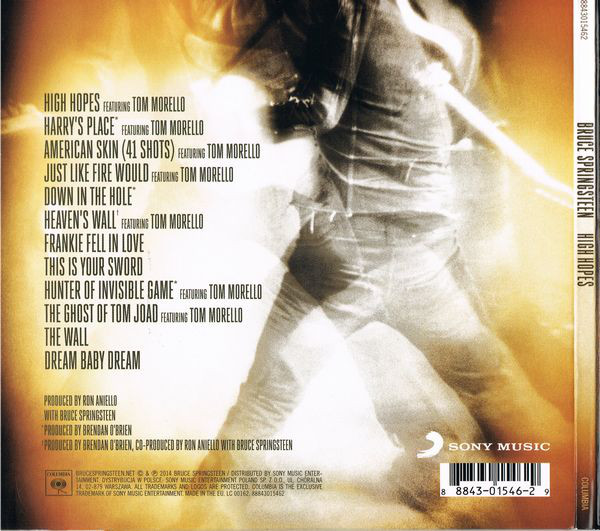 "The Ghost Of Tom Joad" is best known as the quiet, gently acoustic title track of Springsteen's 1995 album. Here, as a result of this version's success in live shows, it is played as a huge, thumping, muscular rock number, enhanced by the incredibly good guitar work at he end from Tom Morello. It is some of the best guitar you will ever hear. Stunning. "The Wall" dates from 1998 and was written after a visit to a memorial wall of casualties. Springsteen remembers and old mate from the sixties who died in Vietnam. It is a moving song, but unfortunately delivered in that strange, nasal twangy voice Springsteen uses sometimes. It has a lovely horn solo at the end. "Dream Baby Dream " is a cover of a song by a band called Suicide, who I admit I know nothing of. It was recorded by them in 1979. It is lyrically not up to much, repeating the title again and again and "keep the light burning". It has a certain fugue-like sad quality to it though. 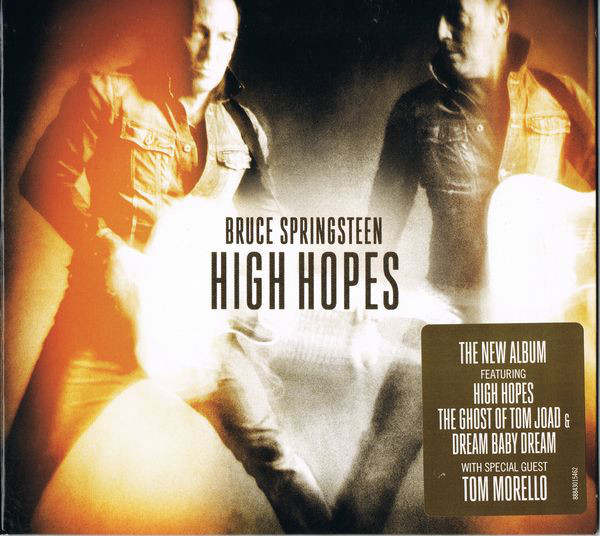 I have to admit that I like this album more than the last batch of Springsteen's offerings, indeed, it is my favourite after "The Ghost Of Tom Joad" on reflection. A great thing in its favour is that it has by far the best sound on a Springsteen album since the early nineties. Albums like "Magic" were blighted by poor sound, so while I probably like that album's songs more, I prefer this one because of its more accessible sound. All that said. I listened to this a lot when it first came out. Nearly five years later, this is the first time I have returned to it.